On October 26, 1974, William Horton, Jr. killed a 17-year old gas station attendant in Lawrence, Massachusetts. After cooperating with Horton, the victim was stabbed 19 times, and then stuffed in a 30-gallon barrel outside the gas station. Horton received a life sentence without the possibility of parole for the crime. In June 1986, Horton escaped from Concord State Prison while out of jail on his tenth furlough. Less than a year later in Maryland, he pistol-whipped and stabbed a man, repeatedly raped his girlfriend, and held them both hostage for twelve hours. Horton was made famous in 1988 by a Republican TV commercial during the presidential campaign, showing a photo of Horton, and stating he had "weekend passes" from prison in Massachusetts, and subsequently escaped and committed violent crimes in Maryland. Massachusetts implemented a furlough system in 1972. There is generally a belief in the state that many criminals can be rehabilitated in prison and then become productive members of society after release. During the 1970s, the furlough program was fairly successful, with a low escape rate. A lot of prisoners had actually turned themselves in shortly after breaking furlough. The low escape rate led arguably to complacency, and violent criminals were allowed furlough, including those with life sentences. Willie Horton was one of those furloughed. After breaking furlough, in Maryland, Horton stabbed a man, pistol whipped and gagged him, then repeatedly raped his girlfriend. He held them both hostage for 12 hours, robbed them, and stole their car. A year later, police in Maryland apprehended Horton after a high-speed chase. On October 20, 1987, Horton was sentenced in Maryland to two consecutive life sentences, plus 85 years. The Maryland judge, Vincent Femia, made a famous statement after Horton asked to be returned to Massachusetts: "With all due respect to the Commonwealth of Massachusetts, I'm afraid William Horton will never return there. I am not going to take the chance that he will be furloughed or released there." Ironically, Horton, then 36 years old, is eligible for parole in Maryland in 2017. During the presidential race of 1988, Governor Michael Dukakis of Massachusetts was the Democratic nominee. George H.W. Bush was barely treading water in the polls, and what is today known as "attack ads" were produced by early October. The first ad showed a photo of Willie Horton and stated George Bush was pro-death penalty, with Dukakis against it. Horton's furlough and Maryland crimes were also described. 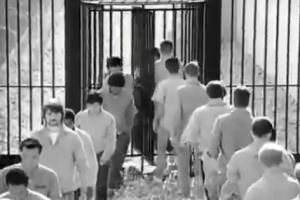 The second commercial showed Massachusetts inmates traveling in and out of a revolving door at prison, and stated there were many escapes. The ads were extremely effective, and after a few blunders by Dukakis, Bush won the election. The ads were considered racist by many critics.